DropTine Ranch Breeders was launched in the fall of 2005 by it's owner Frank Fackovec. Having owned and operated one of the most successful outfitted hunting businesses in Texas under the Texas Outfitters Ltd. brand name for 12 years he decided to expand the business and started breeding deer. 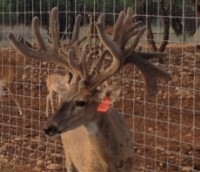 With the same attention to detail and dedication that has made Texas Outfitters Ltd and the DropTine Ranch so successful his philosophy in the breeding of whitetail deer was to get educated. Frank spent hundreds of hours meeting and learning from the very best breeders in the industry. He spent significant time going to seminars and learning how to breed and how to maintain the health of the herd and lastly how to develop a successful breeding plan and facility. All the deer in our facility come from bloodlines of the top breeders in the industry; Lone Hollow Whitetails, Wilderness Whitetails, Kotzur, Berdall and Machen. 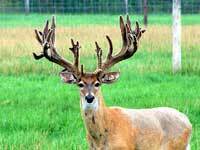 Everyone of the deer in our facility have multiple 200 to 400 inch deer on both sides of their pedigrees ensuring that you will get the very best of what the industry has to offer. Whether you are a new breeder or an established breeder we have something for you. For new breeders we will not only sell you deer but we will help you with every step of the process. Please review the section under consulting for more details. 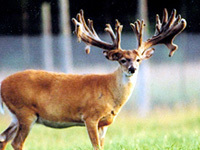 For established breeders if you are looking to add a new bloodline to your herd we have young deer to meet that need. We have a deer cam on the website to view our deer and breeding pens in real time please call to get the access code so you can log in. We encourage anyone who is interested to call and make an appointment to see our deer and facility and to answer any questions you may have. We look forward to hearing from you! Copyright © 2013 DropTine Breeders. All Rights Reserved.